I am going to announce now that I am not a fan of sweet desserts. 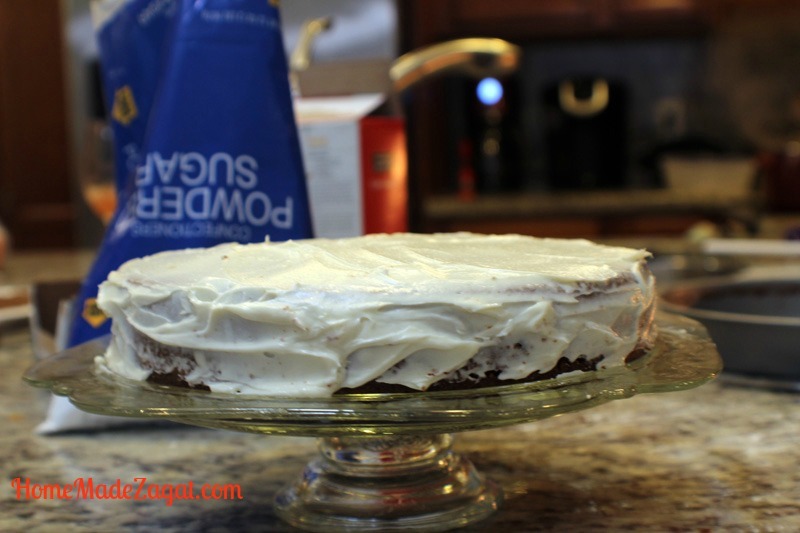 So it surprised me just how much I love making and eating this carrot cake and its cream cheese frosting. I may eat 3 spoons of ice cream here and a bite size snicker bar there, but I do not indulge in long periods of sweetness. I would normally buy a slice of tres leches and it would last me a week simply because I take three bites a day. 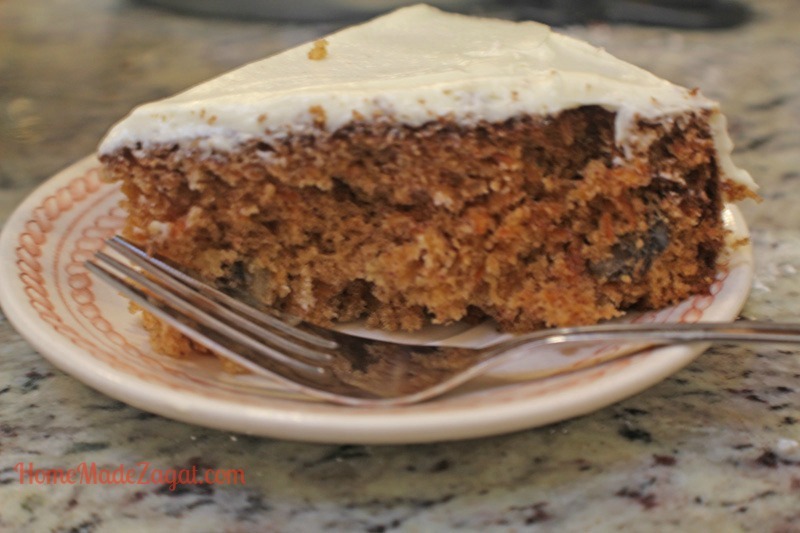 What I love about this carrot cake is that it is not sweet, it is not extremely thick and it is moist and tasty. The addition of walnuts is another plus. It brings a great texture to the cake. I know we usually see carrot cakes being thick and multiple layers but again with my half sweet tooth I always make this a "shorter" cake. I usually get two cakes and it does not last. In fact with this baking the first cake was 3/4 way done before the second cake was done baking. The best part of this cake is that it is extremely easy to make and it comes out so great people would think you are a professional. Let us not discuss my frosting skills. Ha. Surely that was the most frustrating part of the process for me. Trying to have a perfectly frosted cake, while also trying not to lick the edges of your knife is a hard process. And it requires way more patience than I would ever have. I officially give much respect to professional bakers and frosters... including my mom. And I stopped worrying about the cake being perfectly frosted but instead decided to dive in and grab a slice. This sounds fairly simple to "throw" together and looks absolutely delicious! This looks delish and your photos are stunning! Thanks for the compliment Heather!! Even my picky co worker loved the cake... lol.. 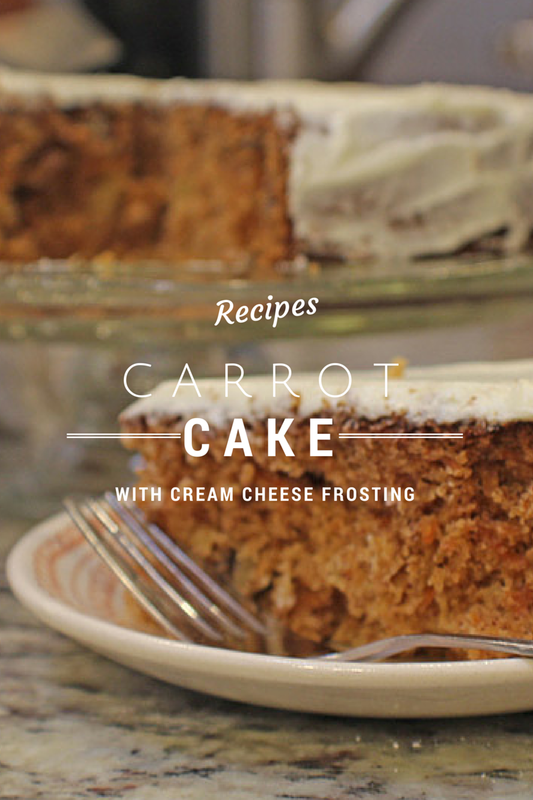 Your Carrot Cake looks awesome! Thanks so much for sharing with Full Plate Thursday and have a great week. HI Miz, Thanks for hosting!!! Have a great weekend!! 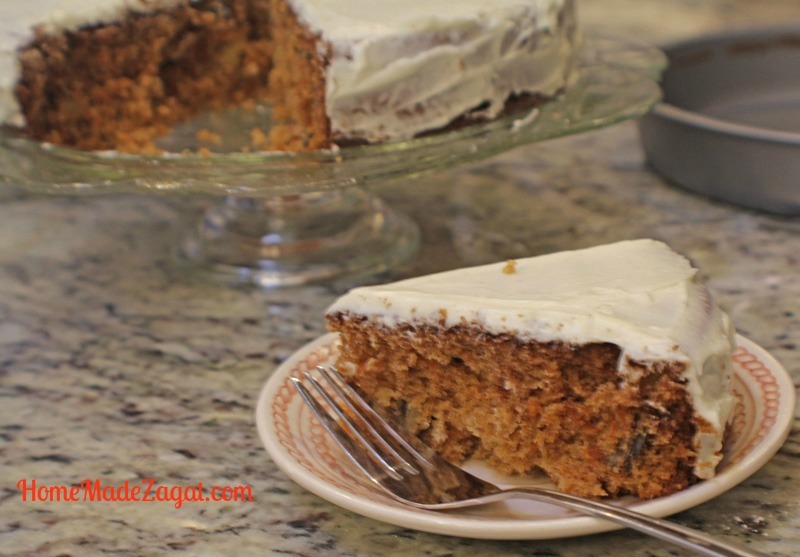 Thank you for sharing this delicious Carrot Cake recipe with Foodie Friends Friday party this week. We've pinned and will share this weekend. We look forward to seeing you again soon. Hi Jo. Thanks for hosting as always! !